When a fan walked up to Joe Perry in 1980 and asked him to sign the brand new record Aerosmith’s Greatest Hits, the guitar player was so out of it that he didn’t even know there was such a record. Now 35 years later, it has sold 11 million copies and has become that one Aerosmith disc that everybody seems to have. My wife asked for Aerosmith’s Get A Grip for her birthday in 1993 from her uncle, but he couldn’t find it, so he got her Greatest Hits instead. She didn’t know a single song but quickly grew to love every one of them. This album is legendary. Even though all the Columbia studio albums were already included, Sony still put Greatest Hits in the Box of Fire set. Two probable reasons for this are 1) the album is now considered a classic hits record, and 2) there are some versions here not on any other Aerosmith albums. In fact Sony revamped this album again a few years later, re-releasing it as Greatest Hits 1973-1988 with seven more songs including one unreleased rarity. That’s another review though, not a part of this series. Since the Box of Fire has the original 10 track version of Aerosmith’s Greatest Hits, then that’s the one we’re going to look at. This is the album that was released in 1980 to buy the band some time before having to crank out another studio LP…this time without Joe Perry. This was my first album of “old” Aerosmith, just like it was for my wife. I got mine in the spring of 1991, and while I was familiar with the hits, I had never heard the rest before. “Dream On” wasn’t new to me, but if it’s new to you, you might be shocked how Steven Tyler’s voice has changed so much over the years. Even familiar hits like “Walk This Way” sound ancient compared to today! Aerosmith’s Greatest Hits was perfectly sequenced. At 10 songs and 37 minutes, it was also the typical length for a single record hits album. There are very few songs not included that are glaring by their absence. Even so, they were eventually released on a second volume called Gems in 1988. If you’re missing “Mama Kin” or “Nobody’s Fault” then you can simply get Gems to fill in the gaps. 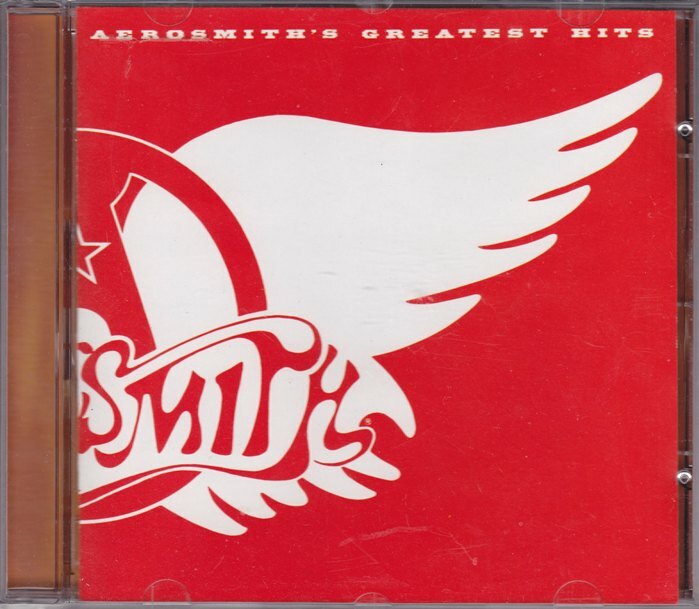 On its own, Greatest Hits has material from all six prior Aerosmith albums, including some rare single edits and one non-album cut. “Come Together”, the Beatles cover, was released as a live version on Live! Bootleg while the studio version (produced by George Martin) was on the soundtrack for Sgt. Pepper’s Lonely Hearts Club Band. Saving fans the hassle of buying that awful album to get “Come Together” is the kind of thing that greatest hits albums are meant for. The single edits include “Same Old Song and Dance”, with the line “Gotcha with the cocaine” replaced with “You shady lookin’ loser”. I didn’t even notice. “Sweet Emotion” has a different intro and outro. “Walk This Way” and “Kings and Queens” are single versions, but most probably didn’t notice that either. “Kings and Queens” is a stunning inclusion. It’s one of those Aerosmith classics that always deserved more airtime. Covers all six prior Aero-platters. For a single record hits compilation, you can’t really ask for more than that. This is a cool comp. First “old” Aerosmith I had too and it was a great intro. It’s just got one of those perfect tracklistings. I didn’t even realise about the single mixes so I’m even more pleased I’ve got it in the box set! Might have to give this a comparison spin. I thought it was only really in there for Come Together. Me too but on further research there were some other versions in there too. Still weird to include it in a box set like this, but they were trying to be complete I guess! Yeah, I thought it was a bit odd when I saw it was in there but I quite like that it’s the complete set. And Gems being in there too. Even though I own Hits 1973-1988, it doesn’t bother me that the original is in here. It’s kind of like if the Eagles included Their Greatest Hits in a box set. Wouldn’t bother me in the least. I’d HAVE it. I have this! Pure classic top to bottom. I still wanna get that newer version with the extra tracks though. I keep looking, it never comes around. Weird. For the sake of completion, I’ll review it too (later on). The tracklisting was expanded in very good ways. I’ll look forward to that review too. This is still on my list for Taranna. When I was there in May, all I saw was this 10-track edition. This was my first Aerosmith purchase on cassette back in the early 80’s. I have lost and bought this album many times over the years. I actually just bought the 1993 version with the extra songs, but have not listened to it yet. As for alternate versions of songs, this was the beginning of me doing double takes when I heard the proper version on the radio. I probably went 10-15 years before I knew there was another version. I’m not sure how I feel about bands doing this. Perhaps the alternate takes should be left to the b side singles etc. My guess is the record execs didn’t like the word cocaine. The execs didn’t like the word Cocaine? Ha, JJ Cale and Clapton must’ve been laughing their butts off. I am loving the epic Aerosmith reviews by the way. Thanks for this. I bought this on vinyl when it was released and for several years it was the only Aerosmith in my collection. I eventually got their Columbia catalog on CD and traded in the LP. Even though I’m missing a couple of alternate versions I don’t regret that decision, but this is a perfect introduction to that era for the uninitiated. I miss the days when a concise 10-song compilation was the best gateway into an artist’s catalog. As thorough as a 2-CD, 150-minute anthology can be, it can’t have the same kind of impact. Another great review, Mike – really getting me on some sort of Aerosmith appreciation wave. I actually had a loan of this CD a very long time ago and really loved it. Actually regret not picking up the vinyl at a record fair last year (I bet it would have sounded ace). You’re right, this one is definitely a must have for anyone who considers themselves and Aerosmith fan. I bought a commemorative European tour picture disc of this one when I saw them back in 1988 (?). I always thought it was a really good listen too. I was curious how or if you would tackle this one. It truly is ‘an’ Aerosmith album. Unlike most greatest hits of other groups. A perfect selection of songs. Kudos including this!! Just that frustrating Sweet Emotions edit…. True that Mike! But there are so many version of Sweet Emotion out there. One more coming up on Sunday.